You can earn 25 yards with this purchase! 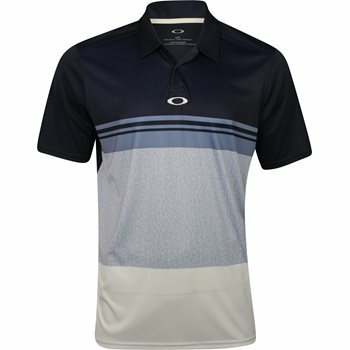 The Oakley Color Block Take polo features moisture wicking that draws sweat away from the skin to keep it cool and dry for all day comfort. The polo is designed with a regular fit for comfort, faux heather sublimated front graphic, forward shoulder seams and center Ellipse branding. The Color Block Take polo is made with polyester fabric that allows machine washing, provides durability and offers resistance against shrinking and wrinkles. Review by Adam S., 7 months ago. Review by Review, 9 months ago.